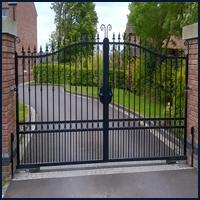 Built using a fully gavanised steel frame, lockable internal safety gates, easy ride suspension, spare wheel, and including a 1 year warranty. 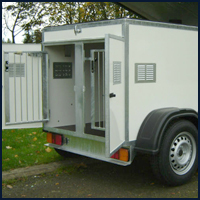 Alpha Dog Trailers also manufacture a range of dog transport boxes for estate cars, 4x4s, vans and pick-ups. Made from aluminium sheet they are light in weight and strong in construction. 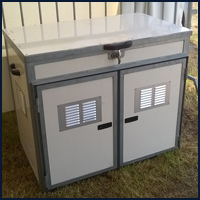 Alpha Dog kennels are available in a range of different sizes and design. 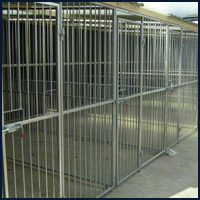 Made from steel box section with either 50×50 weldmesh sheets or 10mm solid r/bar and hot dip galvanised for a maintenance free kennel. 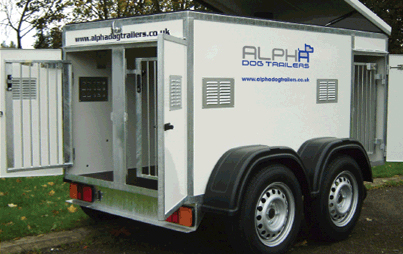 Alpha Dog Trailers also specialise in the production of gates, aluminium livestock body and even quad trailers!